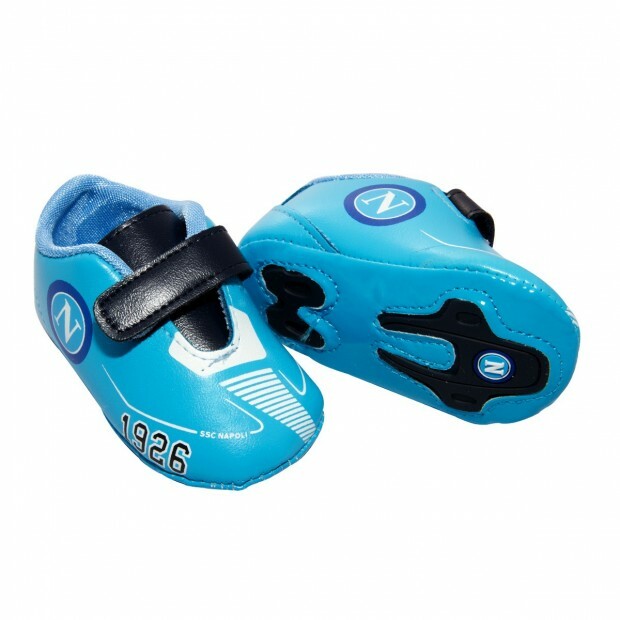 SSC Napoli blue shoes 1926 for infants with strap closure. Official club's logo on the side and on the bottom. SSC Napoli brown clark shoes for infants with laces. Official club's logo on the side and on the bottom.